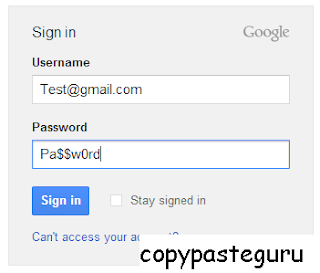 --> Actually you know that, Android is one of the most popular and emerging operating system. Android is popular due to its freedom and high quality games and apps. In free time,users enjoy to play games on their operating system. But anyone can't buy android phones, so they can't use android apps and games. But I found some solution for this problem. You can now run any Android game on your computer by simply installing a "BlueStacks" program. 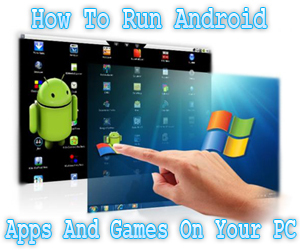 So today,I will give you a step by step tutorial so you will be able to run almost every Android game on your computer without any trouble. 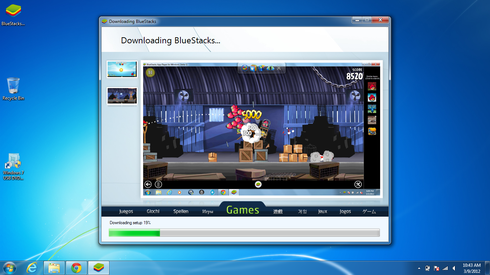 Step 01 : You can download BlueStacks from here and after downloading you have to install it. Remember that you must connect with internet before install BlueStacks. Step 02 : After complete BlueStacks installation you can see BlueStacks home page. There have blue colour search button on right corner. When you click this icon you will receive popup box and you can type what you want (app name or game name). Step 03 : After searching you can see search result and just click on the "Install' button. Then game will download your computer and it's install automatically. Step 04 : To run android app or game you already installed, Go to Bluestacks home screen and you can see "My Apps" tab on top of left corner. When you click it you can see list of your installed apps and games. Now double click on that you want you can work with it. 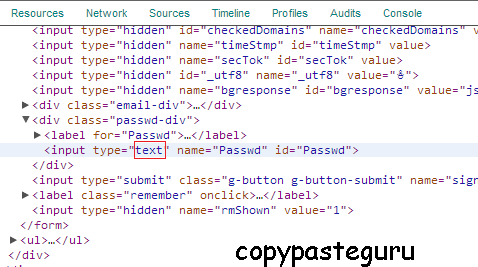 --> Hello friends, Today I'm here with most interest and useful computer tricks. 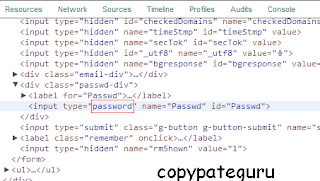 You can find easily hidden passwords in your browser with this tricks. You can appal your friends with this trick. But don't use this for hurt anyone, use only education purpose. Then follow this steps to do it. That's all, you done. 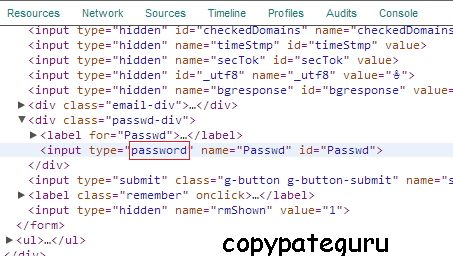 Now you can see hidden password is visible. 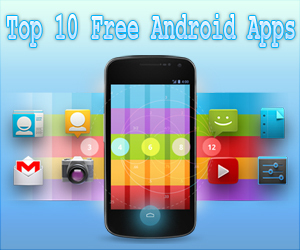 Here is the top 10 free android app list. You can use all this apps totally free. Skype to Skype IMs, video and voice calls are free* over 3G or WiFi. Make low-cost calls and SMS to mobiles or landlines from your Android smartphone or tablet.Send pictures, videos and files to any of your contacts. Enjoy high-quality sound when you call anyone else on Skype. Talk face to face or show what you’re seeing with front and rear-facing cameras. Talk to your Windows Live Messenger friends on Skype. Sign into Skype with your Microsoft account and have your Messenger, Hotmail and Outlook contacts in one place. Try the world's fastest Android browser. 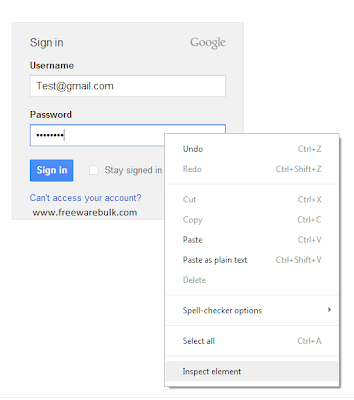 Opera’s speed and efficient controls put it ahead of all other browsers. Surf the web on your mobile as easily as on a desktop computer. Reduce data costs by up to 90% with our unique compression technology. And it's completely free to install and use. Tom is back with an all new adventure! Tom is your cat that responds to your touch and repeats everything you say in a funny voice. Since Tom is now an international celebrity, he's moved out of the alley and into a cool apartment. But everything is not perfect for Tom, his neighbour Ben teases and pesters him constantly. MX Player - The best way to enjoy your movies. Hardware acceleration can be applied to more videos with the help of new H/W decoder. MX Player is the first Android video player which supports multi-core decoding. Test result proved that dual-core device’s performance is better up to 70% than that of single-core devices. Easily zoom in and out by pinching and swiping across the screen. Subtitles can be scrolled to move back and forth faster. Keep your kids entertained without having to worry about them making calls or touching other apps. (plugin required). Fully supports Android 4.2 Jelly Bean MR1. Remote cell phone tracker/locator and malware protection (with USSD blocker). Highly recommended by Android authorities, AV-Test, PCAdvisor, Techworld, and now over 14 million users worldwide. Scans installed apps and memory card content on demand and new apps upon first use. Scans and displays access rights and intents of installed apps. Gives you remote control via SMS or Web (cell phone tracking, activate siren, memory wipe, etc.). Scans each URL that loads and warns you if it’s malware-infected. 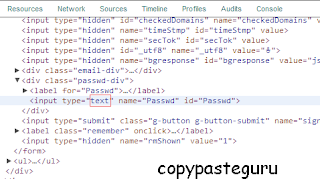 Includes USSD blocker and more features. 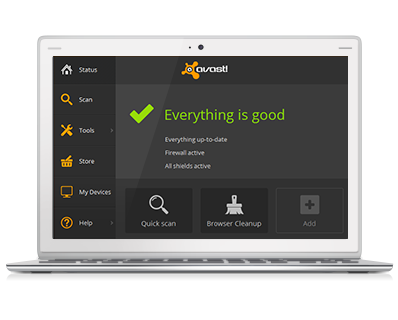 Free, top-rated, real-time antivirus and anti-theft protection for Android™ devices. AVG AntiVirus FREE for Android™ protects you from harmful viruses, malware, spyware and text messages and helps keep your personal data safe. Over 70,000,000 people already installed AVG’s AntiVirus mobile security apps. Join them now and. If you like this post please share it for your friends and don't forget comment about this post. 01. Turn Off : Obviously this is not a option but you can keep your battery life with this tricks. If you didn't use your phone some long period then turn then turning your phone off is the easiest way to save battery life. 02. Turn Off Vibrate And Keys Tones : This function is wast your battery life as much more. So if you did't wan't vibrate and keys tones turn off them. You can also set your ringtones to a low volume to save extra power. 03. Decrease Screen Brightness : You can save your power via decrease screen brightness. If you can set your screen brightness 50% or lower. If not set it automatically, but never don't set it 100%. 04. Don't Use Live Wallpapers : Live wallpapers is one of the cool feature on android phones. But they use your battery charge much more. 05. Turn off Bluetooth and Wi-Fi : Bluetooth and Wi-Fi is mostly using features on mobile phones. Also they reduce your battery life time. So disable them when they’re not in use. 06. Close Unwanted Applications : Apps using battery power as long as there open. So close unused applications on your programme list. If you wan't, you can use third party software (Wakelock Detector) for this task. 07. Charge Your Battery Before It Die : You must charger your phone before it fully discharges of its power. 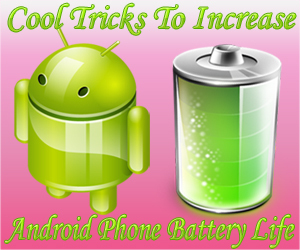 If not your battery life time reduce very quickly. This tricks is very important. 08. Use Hand-free : If you watching movies or listening music use Hand-free's. Don't use phone speakers to do it. They are using your battery more to there processes. 09. Turn Off Flash Lights : Avoid using the flash on camera phones. The little flashes are powerful and therefore use lots of energy. So don't use flash lights every times. 10. Limit the screen timeout : Most cell phone screens will stay lit for a specified period of time after receiving input such as a swipe or tap. Set the timeout to the shortest available in your settings so the display will essentially go into a sleep mode when not in use.